Join the circle, dance and learn about building stronger, healthier, sustainable communities at the 2017 FandangObon on Oct. 21 and 22 at the Japanese American Cultural and Community Center, 244 S. San Pedro St. in Little Tokyo. Hundreds of folks of all ages and cultures will celebrate connections to each other and Mother Earth. This event is presented by the JACCC, Artivist Entertainment, Great Leap and Quetzal, and Sustainable Little Tokyo. On Saturday, Environmental Encuentro, a series of workshops from 10 a.m. to 3 p.m. on the JACCC campus, will explore issues such as urban gardening, use of public open spaces, worm composting, seed planting and nature stories share. Speakers include Linda Wei of the L.A. Worm Farm Collective; Leigh Adams, artist-in-residence at the L.A. County Arboretum; Tim Bevins of Global Green; and Maya Santos of Form Follows Function. To learn more about the workshops and to RSVP, visit jaccc.org/fandagobon. 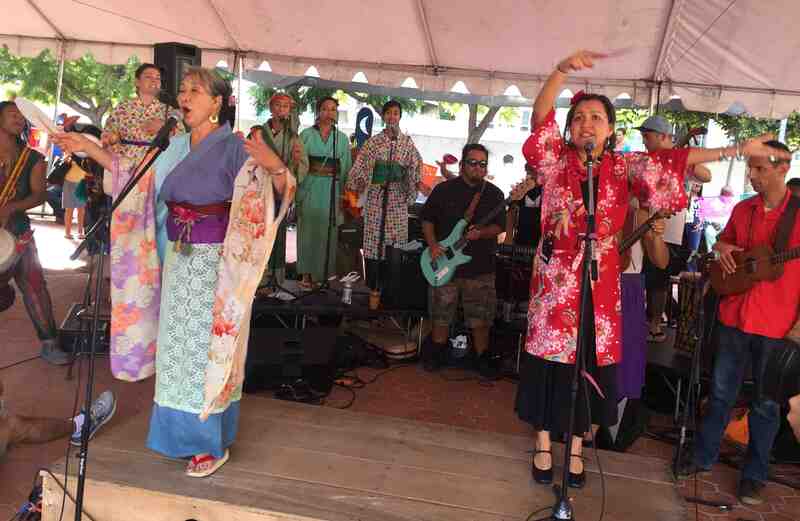 FandangObon culminates on Sunday with the Festival and Farmer’s Market from 2 to 6 p.m. Nobuko Miyamoto of Great Leap, Quetzal Flores of Quetzal and the Mottainai Band will be joined by Le Ballet Dembaya and other special guests. Emcees are Traci Kato Kiriyama and Maya Jupiter. 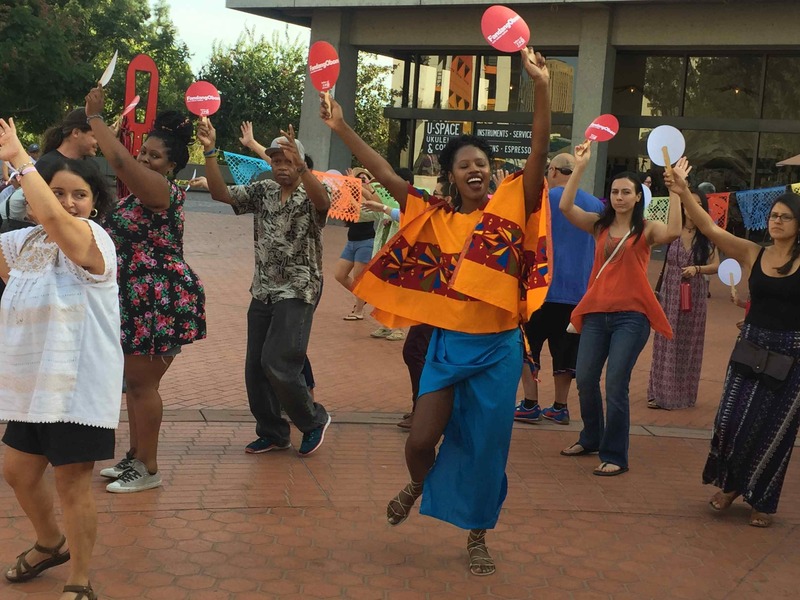 The public is invited to join into one circle to dance to the participatory music and traditions of Fandango of Vera Cruz, Mexico rooted in African, Mexican and indigenous music; Japanese Buddhist Obon circle dances in remembrance of ancestors; and West African dance and drums of Nigeria and New Guinea. Funding has been provided by the California Arts Council, Artivist Entertainment, Los Angeles Department of Cultural Affairs and Surdna Foundation.